Dar Williams came out of the intersection of several particular geographical (New England coffeehouse), political (feminist, LGBT-friendly) and academic (liberal arts – her website includes a page on “Lectures & Workshops”) spaces in the early-mid-1990s, a time that happened to be receptive to musicians who played acoustic guitar, made low-budget albums and wrote songs that explored gender and relationship politics. This Northeast folksinger/coffeehouse circuit existed – thrived, even – as a separate ecosystem to the wider music industry. Occasionally artists crossed over from this folk circuit to the mainstream (Lisa Loeb, for example. But then, she had the good fortune to live in the apartment opposite Ethan Hawke’s), but someone like John Gorka, meanwhile, has spent 25 years as one of the biggest stars within his scene, but remain virtually unknown to a rock and pop audience. I’d heard Dar Williams’s name long before I heard any of her music, not because I’d made a conscious effort to avoid it, but more because no radio station I ever heard played her stuff, and I wasn’t in a financial position then to lay down money for a record unless I was damn sure I was going to like it. (Now I think of it, that’s a key reason why for several years I went deep into the catalogues of artists I knew I liked rather than letting those be and checking out something else instead.) The song that did get me interested was atypical of her work, and from a recent album. I’ll Miss You till I Meet You, a yearning love song to the idea of someone rather than a specific parter, musically owed more to Aimee Mann than Joan Baez, or even Suzanne Vega (who often seems like New England coffeehouse singer who by some lucky fluke got famous). I think, actually, it was a specific comparison of this song to Mann’s work in a review I read that prompted me to check it out. I’ll Miss You till I Meet You is built on similar changes and an identical drum pattern to Roxette’s It Must Have Been Love, which is probably a better song, and certainly has a more memorable chorus, but is a regrettable record – the humanity of Marie Fredrikson’s vocal trampled to death under a herd of stampeding elephants banging snare drums. Such was the fate of many a good ballad from about 1984 to 1994. Williams, though, wisely kept her recording intimate, with the sleeve art even suggesting the album was recorded in a cosy living room. In fact, this is a smart piece of misdirection; the record was actually made in Allaire Studios in the Catskills, which is an upscale facility with a client list to match. Nevertheless, Williams still sings like she’s in a small coffeehouse, playing unamplified to 15 people, and she avoids self-consciously stadium-sized moves. Guitars chime and sigh, but they don’t thunder. If you’re going to do a song that has a more than touch of the power ballad about it, it’s a wise idea to underplay it. Like anyone who manages to make a middle-class career out of music for 20 years while never becoming close to a mainstream figure, Williams is a canny operator, and she surrounded herself with good people on this record: Eric Bazillian and Rob Hyman from the Hooters (the kind of constantly employed industry vets that I have a lot of time for), Steuart Smith who is a member of the Eagles’ touring band and even Marshall Crenshaw, once and future power-pop boy wonder. This entry was posted in Music and tagged acoustic guitar, Allaire Studios, alternative music, Catskills, coffeehouse, dar williams, DIY, Eric Bazillian, folk, folk circuit, I'll Miss You till I Meet You, Joan Baez, John Gorka, liberal arts, Lisa Loeb, Marshall Crenshaw, my better self, New England, ric Bazillian and Rob Hyman, Rob Hyman, scenes, Steuart Smith, Suzanne Vega, The Eagles, The Hooters on January 8, 2015 by rossjpalmer. There’s something really strange about Elliott Smith’s early solo records. They’re not like anything else I’ve ever heard. His later albums make all sorts of overt references to the rock canon: some McCartney changes here, some double-tracked Lennon there, a bit of Brian Wilson, a bit of Harry Nilsson, some Paul Simon picking. His early records just sound like himself. That distinctive vocal delivery from his Heatmiser days is still there – a weird mix of Elvis Costello sneer and Ian MacKaye bellow – but it’s a whispered version of it. The song structures, the melody lines, the guitar playing, though – it’s a thing that Elliott Smith did that didn’t copy anything else and hasn’t been copied since. “Soft and gritty at the same time,” as Slim Moon (owner of the record label Kill Rock Stars) put it. Indeed, Smith is still occasionally playing the role of tough guy on these songs. About 16 years since I first heard it, 21 since it came out, I still don’t know whether his delivery of the verses of No Name #2 is awesome or unintentionally comic. No, and I don’t care who. She whispered quiet terror news. Said do what you have to do. There’s a context to all this, of course. These records were made during the alternative rock boom that followed the success of Nirvana’s Nevermind, a period where a lot of music got on the radio – a lot of music got taken to people’s hearts – that was unapologetically loud, ugly and fierce. An acoustic guitar was a signifier of something other. For a guy like Elliott Smith, who came out of a punk rocky, collegey milieu in Portland, Oregon, to pick up an acoustic guitar and play hushed, intimate songs broke with the orthodoxy of the day, at least in the Pacific Northwest; maybe it’d have been different if he’d come up as a New England coffeehouse guy. But Smith probably felt that his songs couldn’t be too pretty, at least not at first. And they weren’t – pretty, that is – except in short passages. His music wouldn’t acquire conventional prettiness until around the time of Either/Or, when an upgrade in the recording technology available to him was accompanied by the emergence of his 1960s and ’70s singer-songwriter influences. Reviewers and fans have often compared Smith to Nick Drake: the early death, the sad music, the acoustic guitars… Actually, it’s a stretch. Tonally, the work of the two writers could scarcely be further apart. Drake was diffident, likely to underplay his emotions, even at the end. Smith’s music was always angry, always accusatory, from the first Heatmiser record through to the last song on From a Basement on the Hill. His solo debut, the 4-track Portastudio-recorded Roman Candle (particularly the title track, Last Call and Drive all over Town) is furious. When the torrid Last Call is followed by the instrumental Kiwi Maddog 20/20*, with its electric guitar overdubs and surprisingly fleshed-out drums, it’s a rare respite from all the anger. But it’s the calm of someone who’s raged at the world merely to the point of exhaustion, not to the point where anything’s been resolved. The darkness still hangs overhead. His lyrics are parables and observations. The biggest mistake people make is assuming his songs are all confessional. It’s his own life, but it’s a lot of allegory. You see recurring characters in his songs. That’s as maybe. Larry Crane knew Elliott Smith and we didn’t. Yet Crane has an interest in trying to correct Smith’s reputation as the downer king of 1990s indie rock. But this reputation isn’t founded on the lyrics alone. It’s the mood, the tone, the imagery and, of course, Smith’s own life events. It’s everything. And a lot of people are very invested in it. And the thing is, they’re not wrong to hear it in the music, particularly the early records, and Elliott Smith is the one from which much of the “Elliott Smith” myth is derived. To address Crane’s point, whether the drug stories of Needle in the Hay, Alphabet Town, The White Lady Loves You More or Single File were things that Smith had experienced himself at that point in his life or witnessed at close quarters or simply imagined isn’t that relevant; the point is that he was clearly fascinated by dope (the ritual of it as much as anything else), choosing to write about it again and again, and one way or another ended up using it. There’s never been any dispute about that. Yet listening to Elliott Smith is not the gigantic bummer that listening to From a Basement on the Hill is (in full disclosure, I wish I’d never heard From a Basement, wish it hadn’t been released. There are three or four beautiful songs on there, but it’s not enough to stop me feeling thoroughly dirty each time I listen to it, and incredibly sad that someone as talented as Smith was reduced to junk like Strung Out Again). 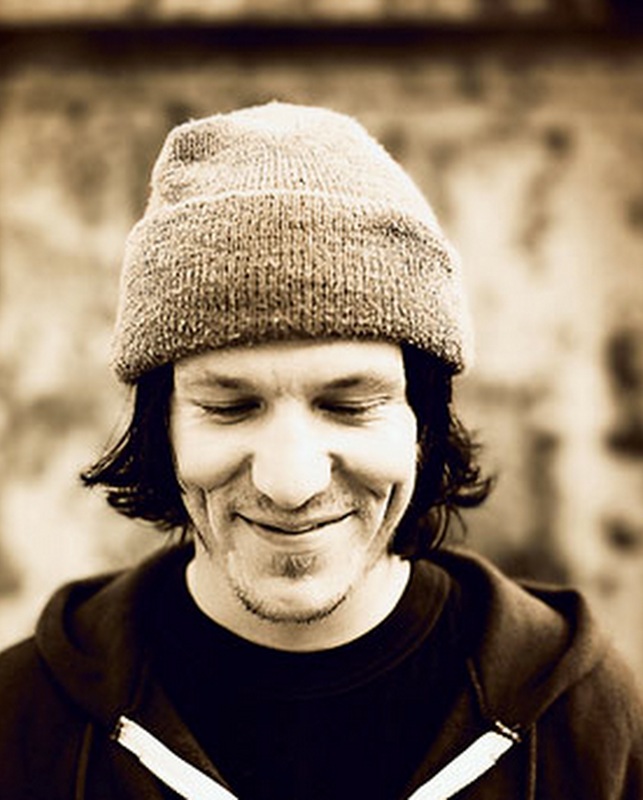 Elliott Smith burns with such fierce creative energy it’s actually a life-affirming experience to hear it. Every song sees Smith discover something new about his craft. Whatever his personal life was or wasn’t like at that time, as a writer he was in a state of grace that few ever achieve. This is what people continue to hear in Elliott Smith, why it’s still such a strong fan favourite. He’d go on to balance the strengths of his early work with his deepening writing and record-making craft on Either/Or. But while he did become a stronger songwriter, he did become a slightly less unique one. Never sinking to the level of a mere pasticheur, nevertheless it became easier to find people to compare him to. The raw and intimate early records are essential for the fan because they’re so unadorned, so concentrated, so completely themselves. *For readers outside the US who aren’t sure what the song’s title signifies, imagine a beatific instrumental named after Buckfast Tonic Wine or Scotsmac. This entry was posted in Music and tagged 1990s, 4-track, alternative rock, Brian Wilson, Buckfast Tonic Wine, coffeehouse folk, Concrete hands picked up the telephone ring, Either/Or, Elliott Smith, Elliott Smith like Nick Drake, Elliott Smith similar to Nick Drake, Elliott Smith's early records, Elvis Costello, Four Track 2: The Hissening, From a Basement on the Hill, grunge, Harry Nilsson, Heatmiser, Ian MacKaye, indie, John Lennon, Keep the Things You Found, kill rock stars, Kiwi Maddog 20/20, Larry Crane, Last Call, Needle in the Hay, Nevermind, New England, nick drake, Nirvana, No Name #2, Paul McCartney, Paul Simon, Pitchfork, portastudio, Roman Candle, Scotsmac, Single File, Slim Moon, Strung Out Again, Tascam, The White Lady Loves You More on January 3, 2015 by rossjpalmer.